Does your school have an effective Word of Mouth Marketing Plan? 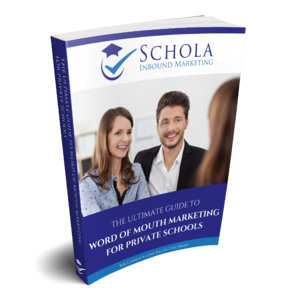 Word of Mouth is considered one of the most effective marketing strategies when it comes to growing private school enrollment. Are you harnessing the power of Word of Mouth marketing to reach new potential families for your private school? To become more intentional about your Word of Mouth marketing efforts, we encourage you to download our free, 45-page guide. Complete the form to download ebook.